French nail design - the eternal classic. 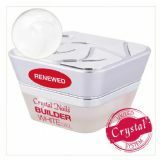 Crystal Nails offers you a wide range of white builder gels, so you can find your favourite. They have good coverage and high pigment content. The thickest is the Builder White I which is as thick as the Rocky Cover Hard Gel. Soft White gel has an off-white colour, you can reach a more natural effect with it. 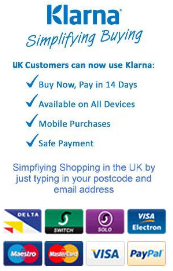 You can use it for to create the lunula at competitions. Builder gel II is a blindingly white builder nail gel, which has medium density and high pigment content. You can easily create the smile line with it. 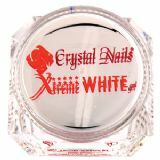 And finally, the Xtreme White, which is a snow white gel, you can create an even surface with it.